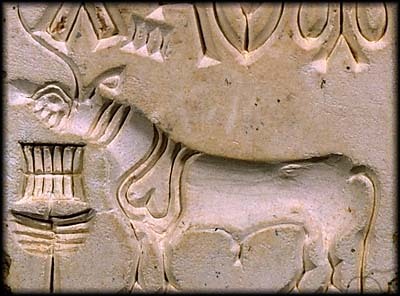 If the figure does represent a cattle species, the clearly carved collar, garland and necklace could help explain its function. Sacrificial animals in village India are often garlanded and decorated similarly today. The Rg Veda speaks of the capture of wild cattle for ritual sacrifice.